AS THE GIANT TRIMARAN MADE ITS WAY TO THE CRÉAC'H LIGHTHOUSE (ISLE OF OUESSANT) FOR A SECOND ATTEMPT AT THE JULES VERNE TROPHY, SPINDRIFT 2 DISMASTED AT ABOUT 1615H TODAY (MONDAY 15 JANUARY 2018), SOUTH OF POINTE SAINT-MATHIEU IN A STRONG 30 KNOT WESTERLY BREEZE AND ROUGH SEAS. 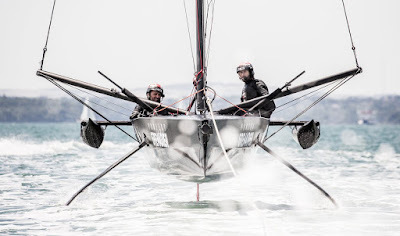 Spindrift 2 was ready for this new attempt around the world with a relatively favourable weather window, after a long two-month stand-by at La Trinité sur Mer and then in Brest, Brittany. With strong winds around Brest, the start from the pontoon was delayed to 1430h. Once Spindrift was into the Iroise, an area of open sea in front of Brest between the Atlantic and the Channel, the sea state was already well formed and the wind blowing at more than 30 knots with strong gusts. As the boat tacked towards the Ouessant Channel, with no warning suddenly Spindrift 2 dismasted. No crew member was injured in the incident. “Everything happened very fast! In a few seconds, the mast was down. 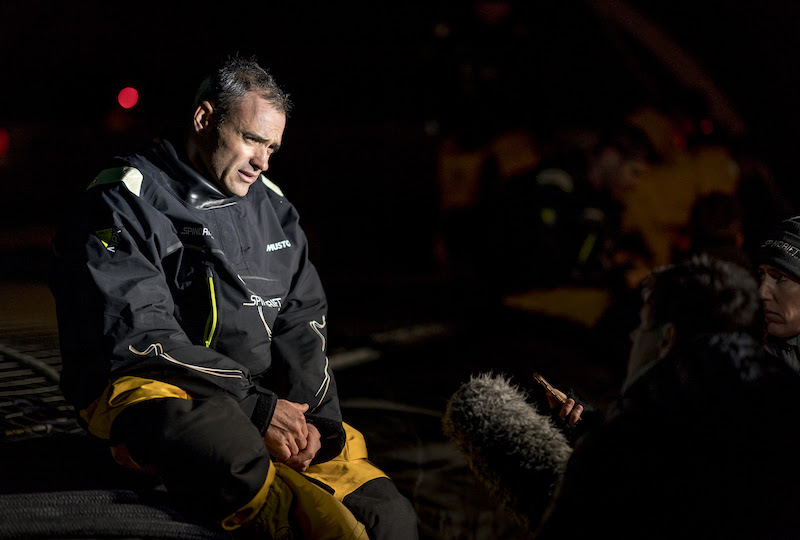 We have been waiting for two months for this new attempt on the Jules Verne Trophy: this window was our last chance. It is a big disappointment for the whole team, both at sea, and on land as we were all ready. 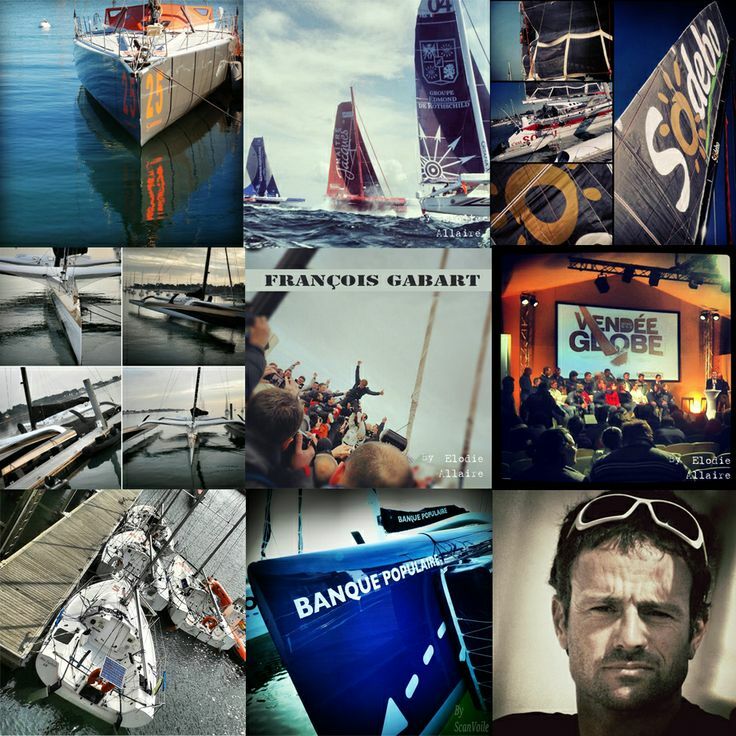 We have spent a lot of time optimising the boat, and everything collapses in a few moments,” said Yann Guichard. "We were heading to the start line: there were relatively strong conditions with 30 knots of wind and three metre troughs. A few moments before we were going to tack towards Pointe Saint-Mathieu, the mast broke for some unknown reason. The most important thing is that there were no injuries on board. Unfortunately we had to drop the mast into the sea as we did not want to take any unnecessary risks for the crew because we were very close to the rocks at Toulinguet. Operations are currently underway to recover the mast and rigging as quickly as possible, as the weather is set to deteriorate early tomorrow (Tuesday) morning. We will now start the process of understanding what has happened," he concluded.